Stars Over Sunset Boulevard begins in the present day, with the iconic green hat worn by Scarlett O’Hara erroneously turning up in a vintage clothing boutique. As the attempt to reunite the hat with its owner commences, the true heart of the novel emerges: the story of two young women working in Hollywood in the 1930s and the unexpected bond they form while working for Selznick Studios on the set of Gone with the Wind. A newbie to California in 1938, Violet Mayfield has left behind her dreams of becoming a wife and mother and her genteel Southern life in Alabama to begin anew in Los Angeles. There, she meets the beautiful Audrey Duvall, a one-time rising star who now works in the secretarial pool at Selznick Studios and still dreams of being rediscovered. Though seeming opposites, the women form an indelible friendship that takes them not only through the filming of the legendary film, but through shared secrets and silent heartbreaks in the decades that follow. As their greatest desires collide into a web of difficult choices and unforeseen turns, the strength of their connection is tested, with each woman struggling with the decision of how far she will go for the one thing that matters to her most. Like Gone with the Wind, it’s a novel of friendship, of the strength of women, and of sacrifice, and I savored every chapter. Susan Meissner brings to life characters that draw you in and never let you go. 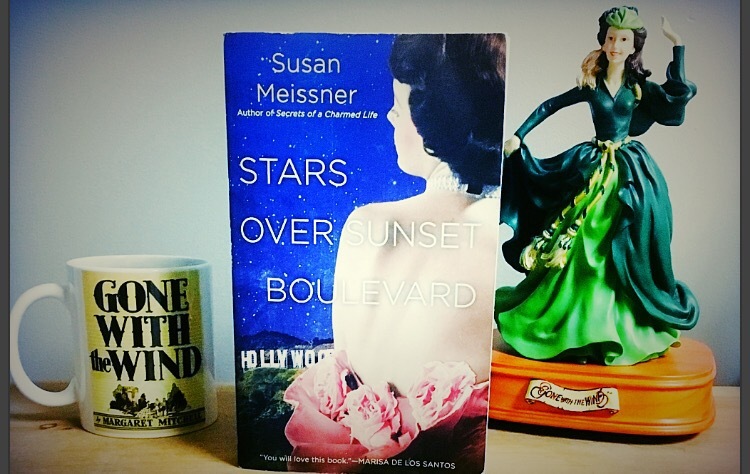 Stars Over Sunset Boulevard is the perfect read for anyone looking to step back in time to the Golden Age of Hollywood and anyone looking to dive into the throes of the once-in-a-lifetime friendship between two unforgettable women. And if the book keeps you from tending to your normal, everyday responsibilities? Don’t think about that now. Think about it tomorrow. For more on Susan Meissner and her gorgeous novels, visit susanmeissner.com or connect with her on Facebook and Twitter!